One of my favorite things about the English language is how we don't just borrow words from other languages - we adopt them. We bring them into our family, embrace them, and love them as our own until we don't even remember where they came from. No doubt I'll be doing more posts on borrowings over time, because it's such a rich topic, but today I'll share the exotic origins of a sampling of words that the fantasy genre just couldn't do without. Do you like high medieval fantasy? How about Star Trek and sci fi? Angels and demons and assorted monsters and beasts? How else will you recover from an encounter with Dementors? Did you know where English got all those wonderful fantasy words? Forty languages from all around the world are represented here. Some of the words come from languages that are long extinct, living on only in their words that have passed into other languages. Some words are recent enough borrowings that most people still recognize their foreign origin. I hope this list gives you a new appreciation for the wonderful diversity of the English language - and for the human tendency to embrace fantasy wherever we find it. 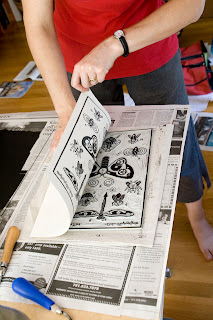 For anyone who's interested in block printing, I highly recommend The Woodcut Artist's Handbook, by George A. Walker. 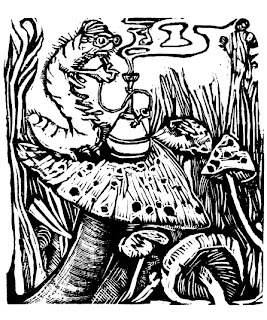 It's got loads of great illustrations, many by Walker, but also by a whole variety of other artists from Albrecht Dürer to Ralph Steadman, who inks up scraps of old, used wood. 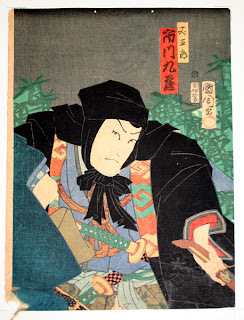 Although the title says "woodcut," this book also covers linoleum block printing and wood engraving, and makes an effort to include a wide variety of styles. The chapters cover "Selecting Materials for the Block" through signing and numbering "The Edition," and address the basics as well as more advanced materials and techniques. 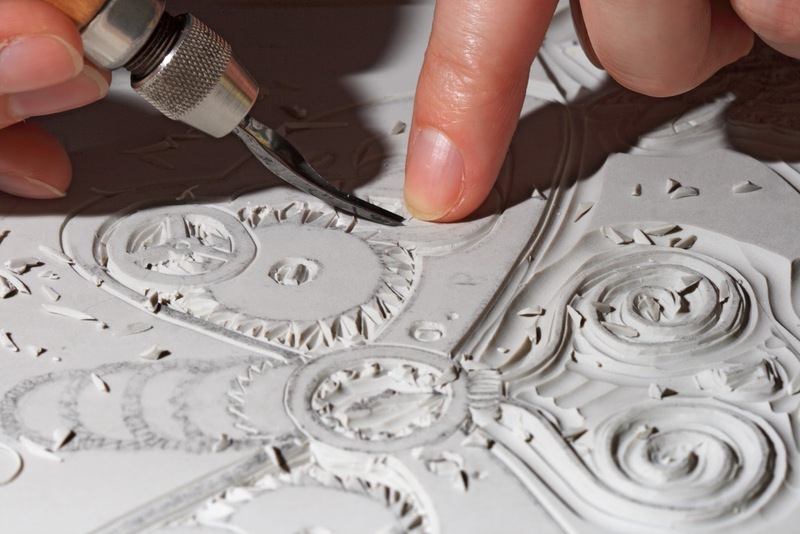 In addition to the illustrations of block prints there are also lots of illustrations and diagrams of step-by-step processes, how to hold tools, the different types of cuts made by different tools, how presses work, etc. I confess that I didn't read every word of all the chapters. I skipped the details of how to assemble your own engraving block, or how to repair Resingrave, for example. But it looks like in everything Walker does a good job of covering both the basics for those who don't know much about block printing, and the advanced details for those who are already pretty immersed in the craft. The bottom line, though, is that I enjoyed the illustrations. Walker's selection included lots of contemporary artists I wasn't familiar with and whose work I'll be keeping an eye out for. 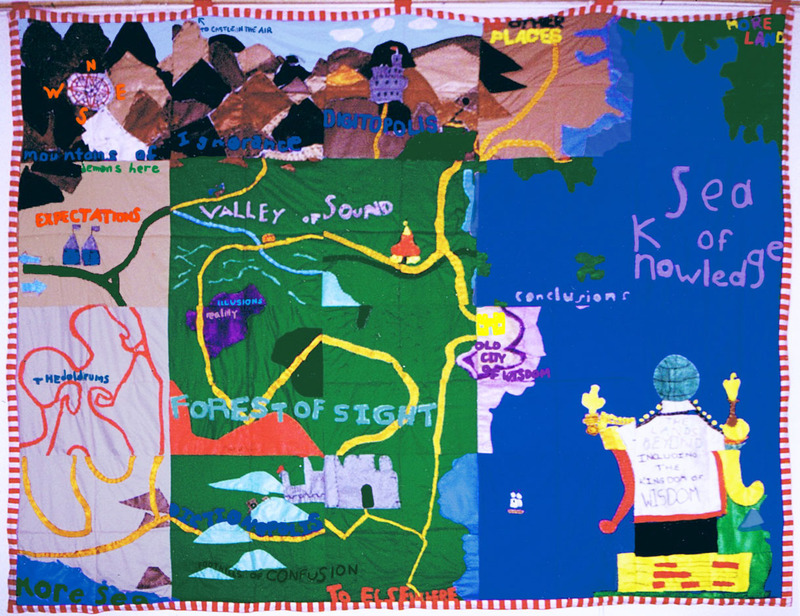 He has a particular emphasis on Canadian artists, since those are the people he works with and knows. Again, that meant it was a selection I wasn't so familiar with. And Walker's own work is quite diverse, though he appears to have a special interest in political, urban, and slightly darker interpretations of things. Here are some of his pieces. On the whale above I like the contrast between the scratchiness of the whale and the controlled swirls of the water. 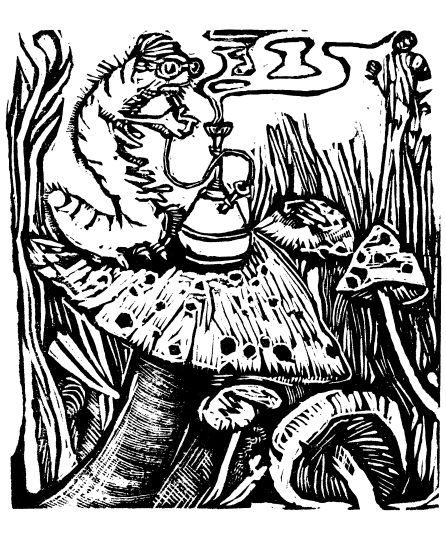 As for the caterpillar, I'm sure everyone recognizes it as Alice's acquaintance in Wonderland. I like its scruffiness. I was definitely glad to have found this book to look through. Check it out. Walker, George A., The Woodcut Artist's Handbook: Techniques and Tools for Relief Printmaking, Firefly Books Ltd., 2010. Let me just say right up front that I have always loved dressing up, but that I have always believed that half the fun of costumes is making them. I've got no problem with buying an accessory or a special hat or something, but grabbing a complete pre-made costume off the shelf really defeats the purpose. 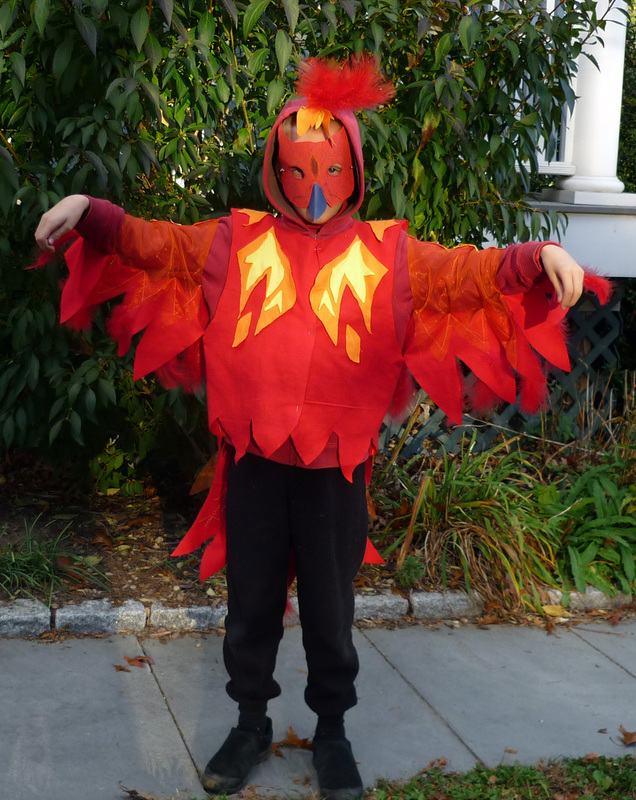 I always made my own costumes as a child (with some help from my mother) and I've always made P and T's costumes… until this year, when I've put them in charge of assembling their own. I hate seeing so many kids coming to our door in boring, generic outfits, and I'm always delighted to see anyone displaying a bit of creativity. P and T have been even more fantastical. 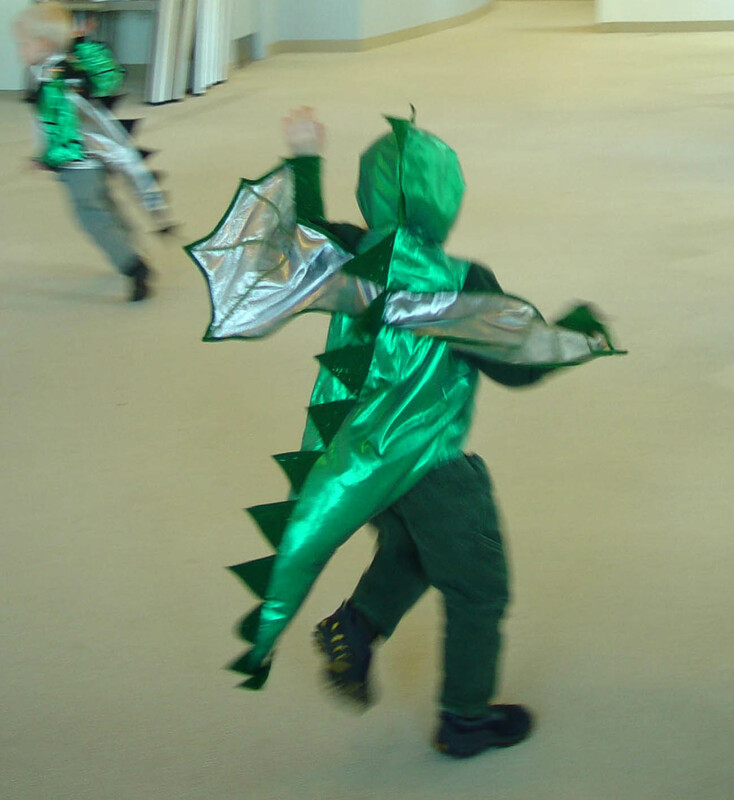 At age three they were dragons, and I was very happy that they could still fit in the same costumes when they wanted to be dragons again the following year. (Those were a lot of work!) At age five they were griffins (lion-headed griffins, to be specific). At age seven P was a dragon again (necessitating the creation of a whole new dragon costume) and T was a fairy. 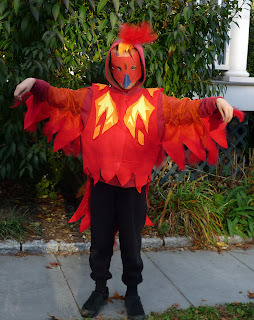 And last year P was a phoenix and T a "Hogwart's-style witch." involve improbable quantities of cleavage, thigh, and shoe heel. But that's a rant I won't go into today.) 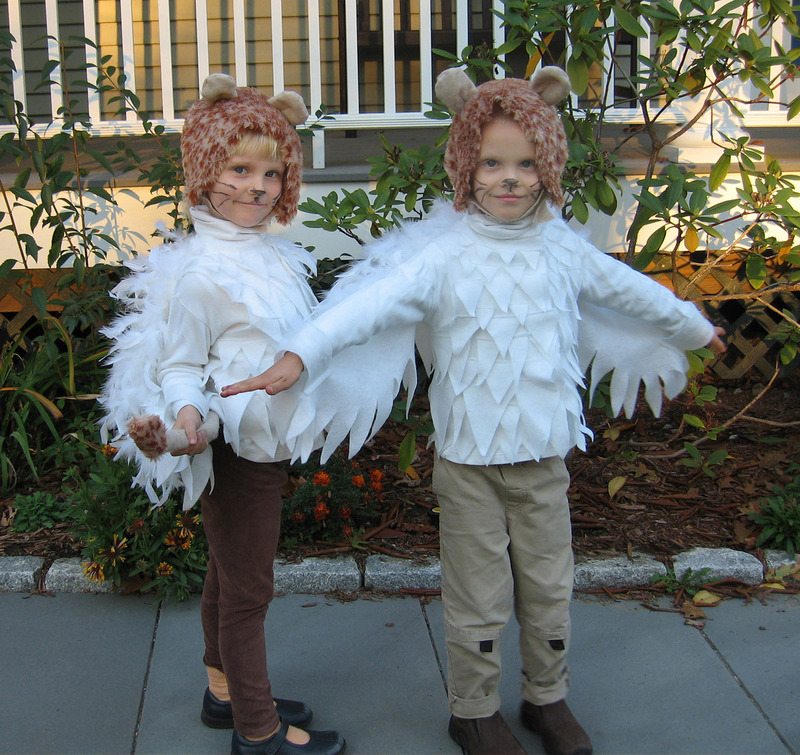 Suffice it to say that Hallowe'en is a holiday with many pros and cons, but perhaps its most positive attribute is when it serves to empower children (or any age) to imagine something, create the costume representing their vision, and get out and show it off without embarrassment. When it's child-directed and involves actual creativity, not just the wielding of a credit card, Hallowe'en is a fun, empowering, imaginative, wonderful holiday. So let your creativity run wild! And now it's time to get busy for this year's costumes. One of our jobs for the weekend will be helping P and T get to work on their costumes. I hope you have fun with yours! This weekend was an Open Studios show and that means I sat and carved all weekend. On Saturday I carved Cat Art. This one was fun and different for me because it's actually a portrait of Talia, our new kitten. (We've had her for about three months now, and she's about nine months old. She doesn't look kittenish any more.) 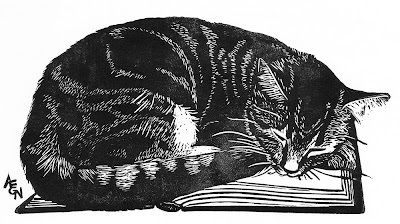 Our former cat of happy memory, Nightshade, served as the model for much previous Cat Art, but the cat images she inspired were all rather generalized. Nightshade's blotchy mulch-colored fur didn't translate well into bold black and white, so all my cats ended up being solid black or white, or wholly fictional tabby-stripes. Talia, however, is a true classic tabby, mostly black with narrow ticked whorls. I thought I'd try actually reproducing her pattern in this piece, and it turned out better than I had feared at the point of carving. I especially love the white rim around her eyes while she snoozes! On Sunday I carved an owl, based on a screech owl, though without any claims of Audubon-worthy accuracy. Instead of being about reproducing an accurate portrait of a creature, this piece is more about pattern and texture. (T is quite excited about it, since two of her favorite people have owl companions: Harry Potter and Athena.) I saw a program about owls once from which I learned that owls are actually pretty stupid birds, which makes their use as a symbol of wisdom delightfully ironic. But even if keen intelligence isn't their specialty, owls are still wonderful, amazing creatures. Of course my two days of carving were interrupted for sales (if never as many as I'd like!) And actually the carving was interrupted for quite a few very nice conversations, as well. I'm thinking of three in particular that were especially gratifying. Two of these were people who had bought books last year as gifts for children (a daughter with Hey, Diddle Diddle! and a grandson with Amazing, Beguiling, Curious, to be specific.) They reported back to me how much the children loved the books, and I really appreciate this feedback. I pour a lot of love and care into those books and art. They come from deep in my own imagination and my own visions of the world, they are personal and precious to me, and then I throw them out into the world and they disappear. I never hear back from most readers of my books, or from recipients of my art, so when I do find out that someone out there is sharing my enjoyment and treasuring the connection I've made with them, that really means a lot to me. The third example was a four-year-old boy who came in with his parents. Last year they'd bought a vintage car for his bedroom, and this year they came back to choose a second car to go with the first. He also tried his hand at carving the rubber and was excited to learn the process of how the car prints were made. He was preparing to redecorate to a "big boy" room, and he wanted my cars to be part of it. I am honored and pleased that something I created is a part of that boy's life! Here's a nifty confluence of wood block printing and speculative fiction! 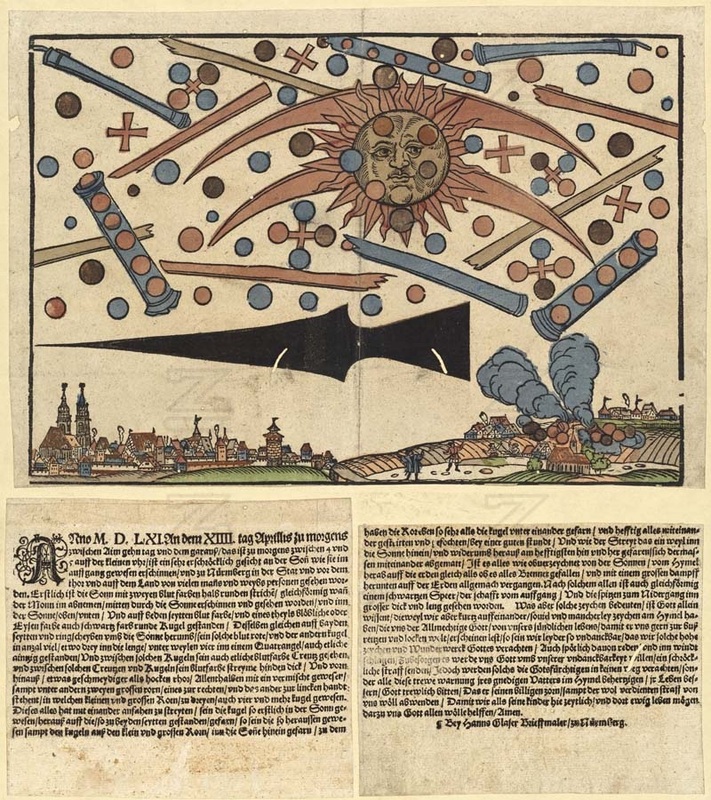 This woodcut made by Hanns Glaser is entitled "Heavenly apparition over Nuremberg on April 14, 1561." The woodcut was actually made in 1566, based on reports of what UFO enthusiasts call a mass sighting of an alien battle in the skies over Germany. 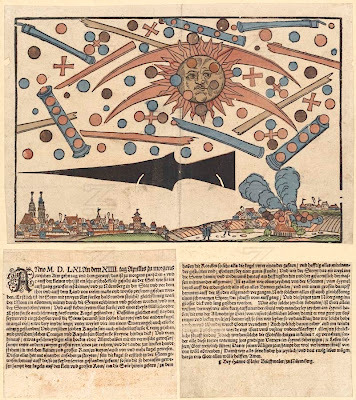 The report, printed in a broadsheet called the Nuremberg Gazette, says that at dawn on April 14, 1561 many people looking at the sky witnessed large numbers of "cylindrical shapes from which emerged black, red, orange and blue-white spheres that darted about." Crosses the color of blood and a large black spear-shaped object were also involved, fighting with one another for about an hour, after which time some of the shapes flew into the sun while others fell to earth in clouds of steam. Some people of the time took the vision as a divine warning. Some people of this time take the account as proof of an extraterrestrial space battle. I was unable to determine much about the authenticity of the "newspaper" account. The document is in the Zentralbibliothek Zürich's collection of early news, but it's certainly anomalous. It's hard to find any unbiased information discussing this stuff. (Perhaps this shouldn't come as a surprise. I used to get annoyed with "In Search Of" and such television programs, that begin with intriguing questions which always, always, ALWAYS end up inconclusive and unresolved.) 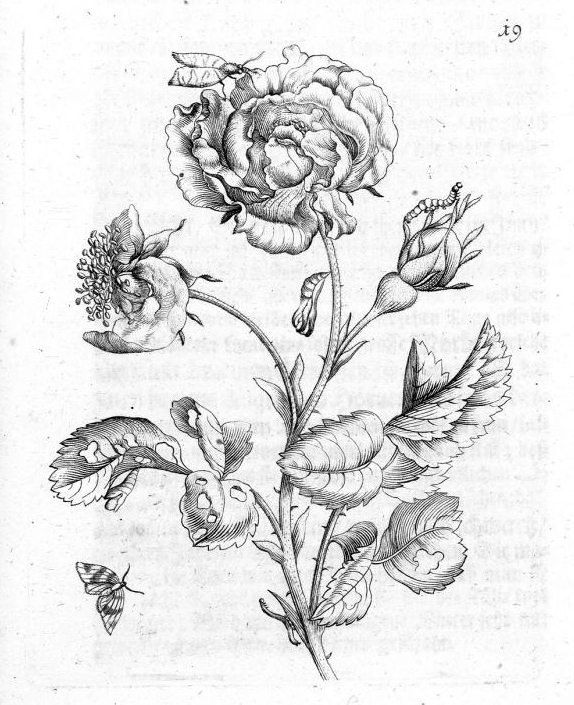 But the authenticity of Hanns Glaser's 1566 woodcut seems to be unquestioned. The question is just what, in fact, it shows - how accurate a depiction is it of whatever happened five years earlier, and just what exactly did people see on that April morning? My brother and I have come up with four plausible scenarios. a) Aliens A are attempting to conquer the Earthlings but Aliens B arrive to defend Earth. B's win, and leave without making contact, nobly following their Prime Directive not to interact with the primitive species. b) Aliens A are escorting captured rebels (Aliens B) from their remote base to the Galaxy headquarters. As they pass Earth, Aliens B attempt to make a break for it, but are recaptured by Aliens A, who then proceed upon their way. c1) Future Humans A come back in time with their space age technologies to assassinate some Nurembergian ancestor of Adolph Hitler. However, Future Nazis B come back and thwart them, so Hitler does indeed rise to power as we know. c2) Future Resistance Fighters A come back in time with their space age technologies to assassinate some Nurembergian ancestor of Adolph Hitler's unstoppable mad science genius Von Schnell. Future Nazis B attempt to stop them, but fail in a thrilling battle in the skies. The Von Schnell progenitor is assassinated, thus there is no unstoppable Nazi science genius after all, and the Allies are indeed able to defeat the Nazis as we know. 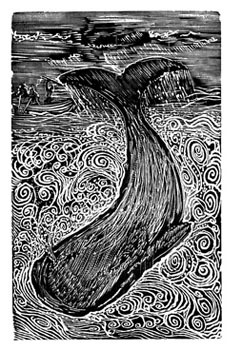 Whatever the truth of the celestial phenomenon, Glaser's woodcut is something real to be enjoyed. In the image I like the city under the black arrow just like Theed beneath a star destroyer. I like the little Renaissance gents pointing up excitedly (and understandably so). I like the way the sun looks sort of bemused as balls hover around his face like pesky flies, and crescents arc gigantically behind him. It's certainly intriguing! When it comes to UFOs I'm a skeptical agnostic, but when it comes to block prints, I'm a true believer. This Glaser print is a perfect example of how block prints, like photography nowadays, can be timeless fine art or a sensational journalistic tool reflecting the popular preoccupations of their times. The Phantom Tollbooth, as everyone knows, is its own species, not really like any other book. But it does share with many of my favorite books certain characteristics, such as likeable, decent characters, a happy ending, a sense of fun and wonder, and narration and vocabulary that don't talk down to children. I was really delighted to read about some of Juster's ideas behind the writing of the book. First of all, he said The Phantom Tollbooth "did everything wrong. The general theory at the time was that no child should ever pick up a book and find in it anything he didn't already know about, so they tended to discourage any kind of interesting plots or stories or conflicts. To top it off, they said fantasy was bad for children because it disorients them." I still see this attitude, as when T's first grade teacher kept trying to encourage her to read something "more realistic." But I am by no means convinced that realistic fiction is more realistic in any respect other than the decor of the story. (I've said more about this in my post How Juvenile Fantasy Will Save the Earth.) Or, as Juster said of Baum's Oz books, "They started me thinking in a wonderful, imaginative way and made things possible that you knew were not possible - but then again, they were." He went on to say of The Phantom Tollbooth - but I think it's equally true of all good juvenile fantasy - "Certain things don't change. What [the book] deals with are still the basic issues for kids in life." In other words, fantasy is about what's real and important, and it gives kids a way to explore those issues that supposedly realistic fiction often does not. When asked what advice Juster had for parents on reading, he replied, "One thing that bothers me now is the constant pressure for kids to read earlier and earlier. A lot of people want to get their 3-year-old kids into perfect pre-kindergarten, then the perfect kindergarten, up the line to Yale and Harvard, and it's just a very mistaken idea. What you want to do with your kids is to let them roam around not only in the world, but around their own head, and not immediately tie them into a patterned, structured way of doing things." He went on to praise the effect of word play, but again I would argue that it isn't just word play (much as I love that) but all of fantasy with its impossible possibilities. "Word play is wonderful because it changes language, changes your understanding, and opens up the way you perceive things in a completely different way." This does not disorient kids - On the contrary, it frees their minds, their hearts, and their imaginations. The quotations from Norton Juster in this post were taken from: McGregor, Amanda, "The Real Power of Imagination," Boston Parents Paper, October 2011: 30-32. First of all, who's Ada Lovelace and why does she have a Day? Briefly, Lovelace (1815-1852) was the first (theoretical) computer programmer - even before there were computers! She was an incredibly smart, gifted mathematician at a time when women didn't generally have the option of a career in science or technology. Ada Lovelace Day was started as a way to celebrate female role models in scientific fields. You can find out more about Lovelace here and about the Day named after her at its official site. One part of the day is for people to blog about a woman in the sciences, and I thought I'd join this noble cause. Now, technically I am not a woman in the sciences. I have no degrees in any scientific field, no one pays me for my research or inventions or my work in technology… But I've always been interested in science, especially natural history. And, of course, I am a mother of a couple of curious kids, and that means there's always scientific research and observation going on at our house. 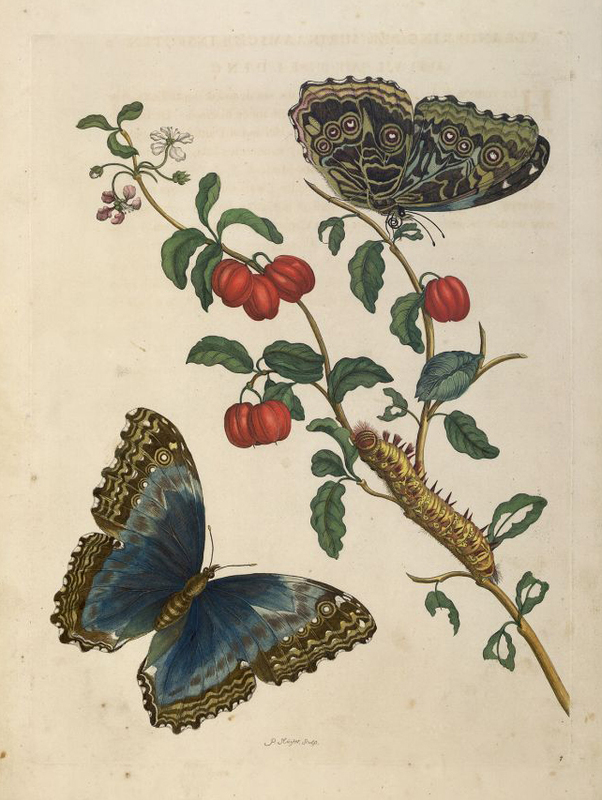 One of the chief areas of our scientific studies is the natural world: birds, plants, insects… And that brings me to Maria Sibylla Merian. After all, this is not a science blog. This is a blog about art (oh, and fantasy, but that's another story!) And while we tend to think that women "couldn't" be scientists before the twentieth century, in fact there have always been loads of women naturalists -- and many of them were artists, too. 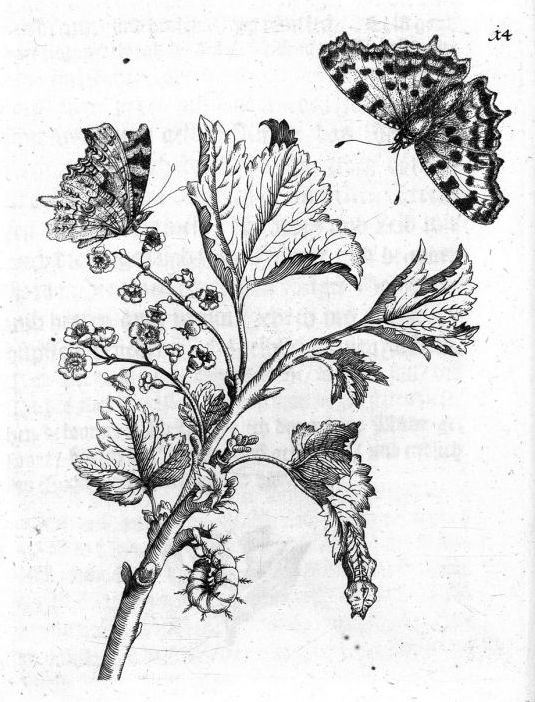 Observing and sketching the natural world was one of the more conventionally acceptable ways for scientifically-inclined women to work. 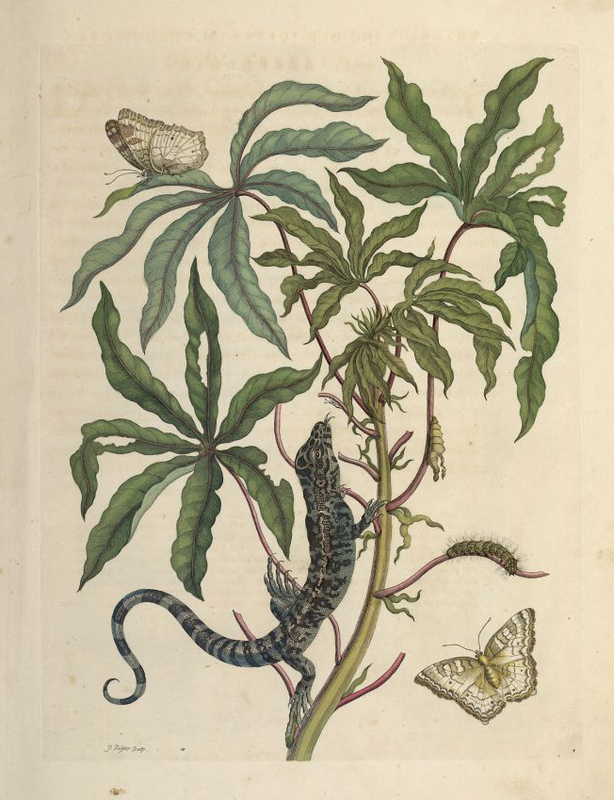 But conventional Maria Sibylla Merian most definitely was not. Merian (1647-1717) was the daughter of an engraver and printer, and the step-daughter of a still life painter, who encouraged her artistic talents. 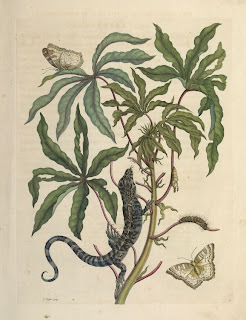 The subjects she chose to draw and paint as a child were specimens of insects and plants that she collected in her neighborhood. Some artists would have been content to draw pretty pictures, but Merian was a scientist as well as an artist, and she carefully studied those insects, especially caterpillars, moths and butterflies. (Only a true scientist could appreciate the bugs eating her roses!) 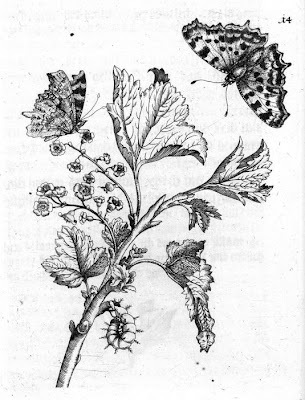 She was the first to study how the life cycle of moths and butterflies really worked, and to observe all the stages and the plants associated with the stages. And she made beautiful, detailed drawings in her sketch books. Merian was among the first to study insects seriously, she was the first to describe accurately the relationships between certain insects and plants, she was the first to identify many of the insects and plants of the Surinam area, she was among the first to pay attention to the effects of one organism on others in its environment, and she was among the few who could mix serious science and truly masterful art. 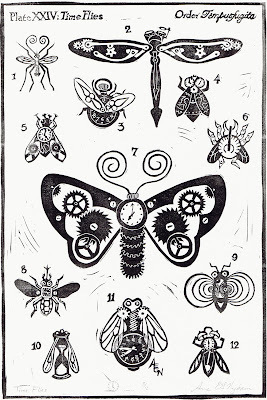 The wood block prints of her drawings (usually hand-colored) are celebrated as a unique blending of scientific accuracy with beauty of composition and execution. She's an inspiration to anyone with an interest in art or science, but especially those of us who love both. 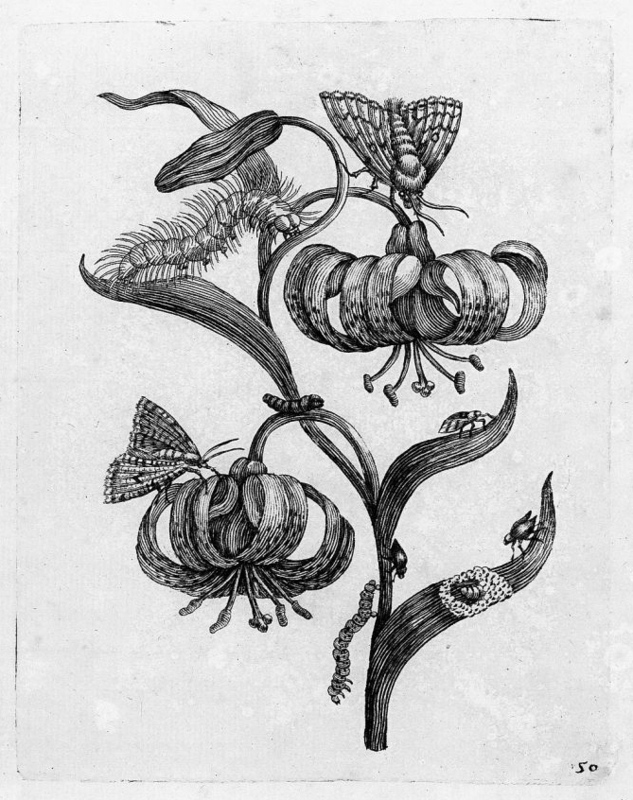 Grossularia Hortensis, wood block print from Der Raupen wunderbare Verwandlung und sonderbare Blumennahrung by Merian, 1679. As it always does, real life interfered a bit, in the form of the usual family responsibilities, as well as a commission that I really had to knuckle down and spend some serious time on… But whenever I got a chance I sketched more time flies. When I had twelve I cut them all out and arranged them on a single sheet of paper, and put in the captions and numbers. I guess the steampunk vibe would be more consistent with a Victorian style, but in fact there's no steam here. 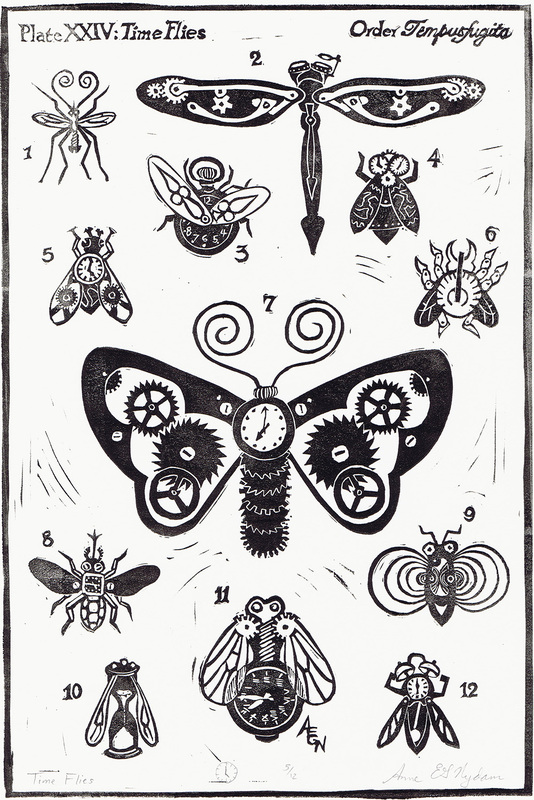 What I was really picturing were the woodcuts illustrating some of the earlier volumes of natural history. 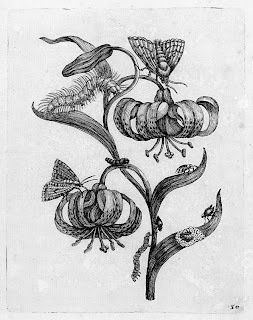 I enjoyed picturing some seventeenth century naturalist discovering these strange flies and sketching them as marvelous curiosities. Were they glimpsed in some never-before explored meteor crater? Or perhaps in the lost world of a jungle cave? Or do they breed in the dry dust of long-abandoned bell-towers? 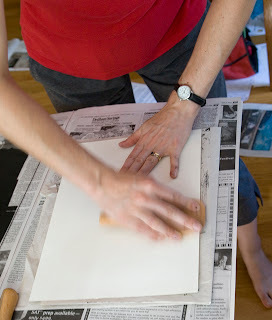 I really enjoyed this entire block, sketching, carving, printing, and all. Of course only time and a few shows will tell whether the art-buying public shares my sense of humor on this one, but I've been quite delighted with the whole thing. 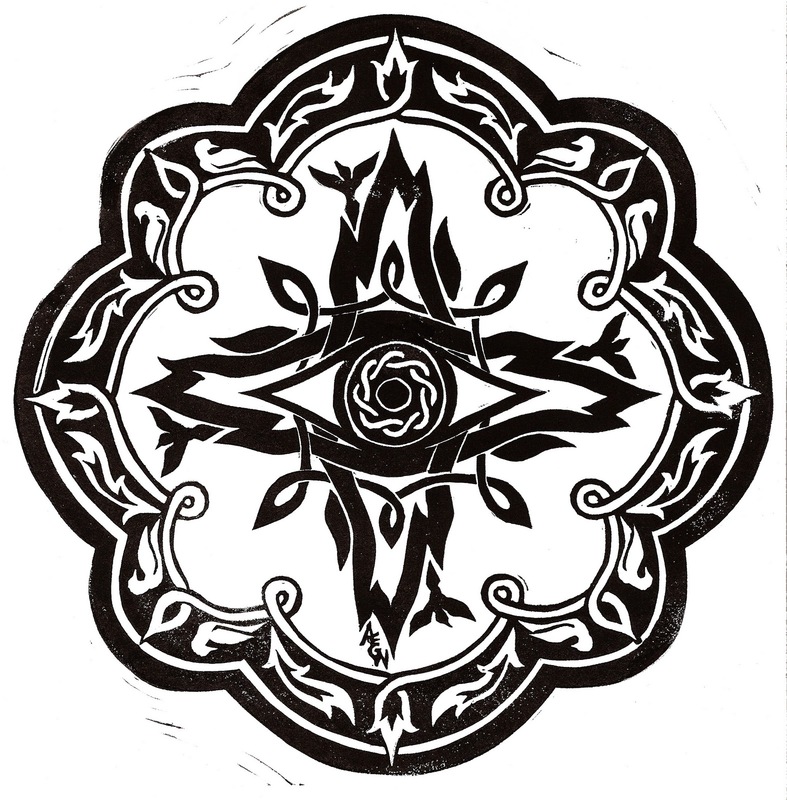 (I added this design to my CafePress collection, too!) It just goes to prove that time flies lead to having fun!